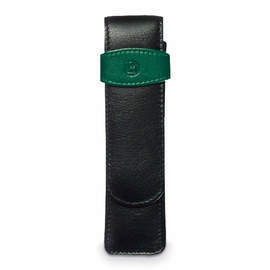 With space for three pens, this fully fabric-lined pen case from Visconti demonstrates the skill of the Italian artisans that created it. 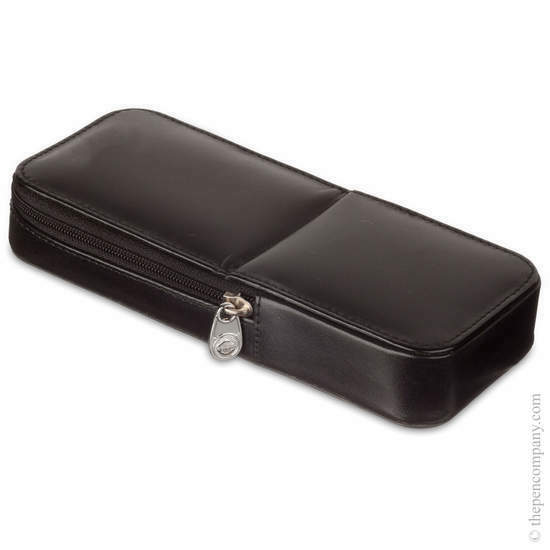 Fabricated from fine European leather, with two internal dividers, this case provides secure protection, while the zip-around opening allows for easy access. 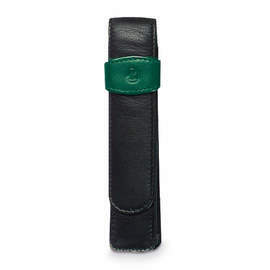 I LOVE the Visconti line of pen cases. The natural hinge in the flap works flawlessly. It hold 3, even large size pens very well and the slots are well sized to keep the pens separated but still easy to remove and put back in. 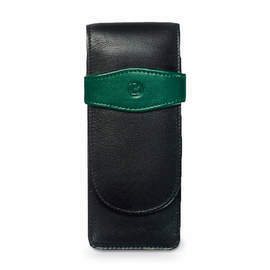 The quality of the leather is what you would expect from Visconti. Overall great case. Now I save up for the 6 pen case!